As current as the #MeToo Movement, Hawthorne's great American Gothic romance comes to searing life in this daring and thought-provoking stage adaptation by Phyllis Nagy. THE SCARLET LETTER is a classic tale of love, sin, punishment, revenge and redemption set in the 17th century Puritan world of Boston, Massachusetts. However, this adaptation by Ms. Nagy has a distinctly contemporary sensibility and message for modern audiences. "I'm coming back to see it again!" 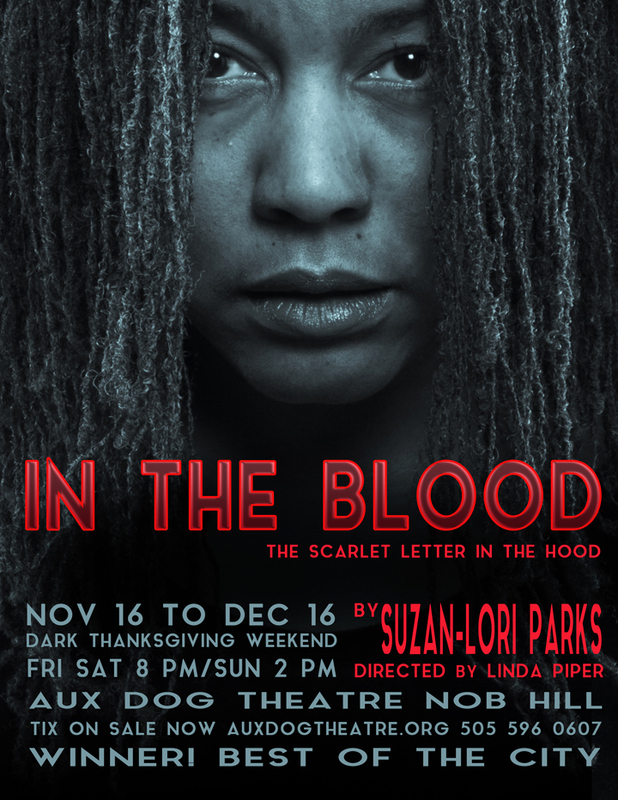 by Matthew Yde, Directed by Matthew Yde, Commissioned by Aux Dog Theatre Nob Hill. “I didn’t think James’s tale of psychological horror could be captured so well on stage—but you rendered it brilliantly! Director Richard E. Peck and his designers really brought the show to vivid life. Best of all was the amazing cast: Brennan Foster and Abby Van Gerpen were sensational." Matthew Yde, Albuquerque Journal. 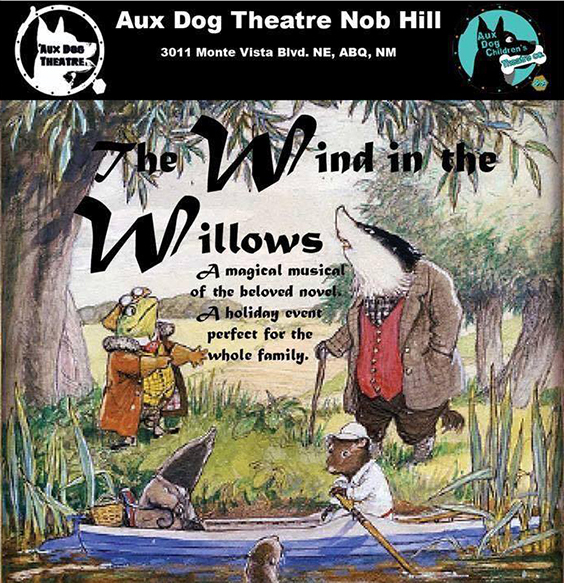 "Aux Dog Theatre of Nob Hill – one of Albuquerque’s boldest theaters – opens its 10th anniversary season with Arthur Miller’s challenging expressionist drama After the Fall. The cast is uniformly excellent, but in many ways the play belongs to its two central characters: Quentin and Maggie . . . Peter Shea Kierst and Sheridan K. Johnson. After the Fall is gorgeously designed by Petifoger, whose set simultaneously evokes the Holocaust and the deep recesses of Quentin’s cavernous mind. The costumes by Sharon Welz are exquisite." Matthew Yde, Albuquerque Journal. Instead of telling the story in a traditional format, Tony Award winning writer and composer Jason Robert Brown has created a series of contemporary and traditional Broadway songs in an intimately romantic and singularly moving score with Jamie's story moving forward while Cathy's story moves backwards in time. They only "meet" in the middle when they get married. And yet the songs capture the full emotional, heart-stirring story of their last five years. A winner of two Drama Desk Awards and chosen by TIME Magazine's Theater Top 10 of 2001, THE LAST FIVE YEARS has been translated into numerous languages with audiences around the world thrilling to Cathy and Jamie's story, making THE LAST FIVE YEARS Brown's most successful musical. Filled with award winning writer/composer Dan Goggin’s madcap humor and hummable songs, the Little Sisters pulled out all the stops (and some wine corks, too). Be prepared for roller-skating, a Bingo game, country music, circus acts, rock and roll, a nun in jail, nun-napping, theft, and impersonation, all leading to an hilarious conclusion. Introducing Shakespeare 505, Aux Dog's new Shakespeare production company! Much Ado About Nothing set in Placitas, New Mexico! "A novel, clever, hilarious take on Shakespeare." - Talkin' Broadway. In partnership with Nob Hill Main Street, scenes from Much Ado were presented free of charge in Triangle Park at the intersection of Girard & Monte Vista & Central. Named Best Production of 2013 by the Albuquerque Journal. Starring Sheridan Kay Johnson and Brennan Foster. Directed by Kristine Holtvedt. Ninette Mordaunt's play follows the life of Manya Sklodowska who would become known as Madame Curie, becoming the first woman to win two Nobel Prizes for Physics and the first female professor at the Sorbonne in Paris. In TALES, a New Mexico premier, Lena Armstrong tells the extraordinary story of her journey through 40 years of hoarded stuff. Ghosts and stories emerge from the clutter and she gains a new perspective on her life so that she can make her way from hoarding to minimizing and finally healing. Michelle Estrada Allred’s SECRETOS is a new, original work, premiering at this year’s festival. One woman shares her “bathroom secrets” and invites us into the private moments from childhood to the present day that have shaped her life. These bathroom stories are universal as they speak to anyone who has ever stared at themselves in the mirror and questioned their beauty or cried in solitude. The bathroom can be a place of sanctuary--a place to hide or to dream. Debrianna Mansini’s play is a culinary journey of her childhood, her relationships with men, and in particular, her complicated relationship with her mother. As she moves masterfully through each Italian recipe, the stories associated with the ingredients reveal the complex ways that families cope, laugh, grieve, and show their love through food. Performances are at 8 pm on Friday and Saturday and at 2 pm on Sunday. Tickets are $15. And a special menu has been arranged at Elaine's. Cidny Bullens’ SOMEWHERE is an autobiographical play about the Grammy nominated musician Cindy Bullens and her transformational journey to her true self, Cidny Bullens, the person he always felt he was. We learn throughout the story about Cindy’s private struggle with gender identity and how, finally, she decides to jump headlong into the fire of gender transition—to become Cidny. The show is a multimedia theatrical production with live performances by Cidny of songs past and present.